Research ecologist, Justin DeRose, discusses his dendrochronology research to reconstruct past climate information, and his role in the forest inventory and analysis tree ring project on this video. Justin is with the Forest Service’s Rocky Mountain Research Station and part of the Wasatch Dendroclimatology Research group (WaDR). The dendrochronology laboratory at Utah State University is seeking a highly qualified and motivated student to start a research assistantship in dendroclimatology for the Fall semester of 2016. The research to be undertaken will broadly aim to better understand past climatic variability in the western United States, with emphases on 1) better determining past drought severity in the Intermountain west and 2) the potential for diagnosing climate drivers that could lead to the prediction of extreme droughts in the future. 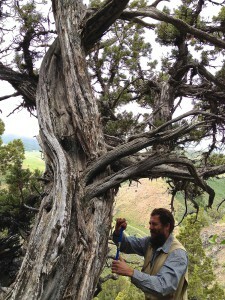 S/he will be based in the Department of Plants, Soils and Climate (https://psc.usu.edu/), and work with other scientists within the Wasatch Dendrochronology Research Group (https://wadr.usu.edu/), the Ecology Center (http://www.usu.edu/ecology/) and the broader research community at USU. The ideal candidate would have a M.S. degree in climate science, ecology, environmental science or a related field. S/he would be characterized by intellectual curiosity and self-motivation as well as strong quantitative experience and a demonstrated ability to conduct independent research. If interested, please attach a resume or CV to a message that briefly outlines your background and research interests to Dr. Steve Voelker (dr.s.voelker@gmail.com)/) (drstevevoelker.weebly.com). Utah State University is a Carnegie Doctoral / Research University of more than 20,000 students, nestled in a mountain valley 90 miles north of Salt Lake City. Opportunities for a wide range of outdoor activities are plentiful due to USU’s central location with respect to numerous National Parks, Forests, Monuments and Conservation areas as well as local ski resorts, lakes, rivers, and mountains. The amazing access to natural resources combined with the relatively low cost of living should make Logan a very desirable location for students who are outdoor enthusiasts. By taking tree ring samples from thousands of trees around the West and determining how old each tree is and how many cycles of wet and dry each has been through, researchers are trying to create the clearest picture of climate in the West over the past several centuries and in turn, hopefully, an equally clear glimpse into the future. Jennifer Pemberton joined scientist Justin DeRose on a field trip to collect tree ring samples and sends this report. Listen to the story on Utah Public Radio. Utah Public Radio’s Jennifer Pemberton hosts a three-part series about WaDR research on ‘The Source‘. Utah’s precipitation history is clear – at least dating back to when the area was settled and records were being kept. According to Justin DeRose of the USDA Forest Service, the state’s records show a high-variability of water flow, but much less is known about the area’s water history before the recorded observations. Mitch Henlie reports in Cache Valley Daily article. Will Utah be ready for a drier, hotter climate? The specter of drought hanging over the Southwest is already pretty dire, with forests drying out into beetle-killed tinderboxes and reservoir levels plunging. 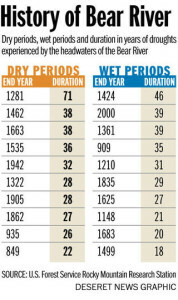 But the current dry spell may barely register in comparison with what has happened in the distant past and could happen in the near future, according to research released this month. Brian Maffly of the Salt Lake Tribune reports. 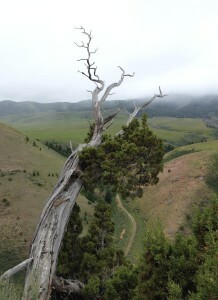 A team of researchers used Juniper tree rings to chart the longest climate history in northern Utah to date, going back 1,200 years to map the wet periods and the droughts experienced by the headwaters of the Bear River. Amy Joi O’Donoghue, Deseret News reports. 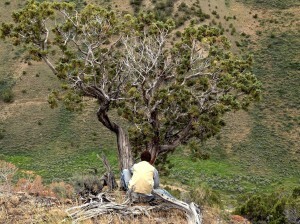 Local researchers are using the history of a hardy native tree to build a vision of Utah’s drought future. Ogden Standard Examiner’s Leia Larsen reports.